The Northwestern University Dance Marathon began Friday night and runs for 30 hours straight. 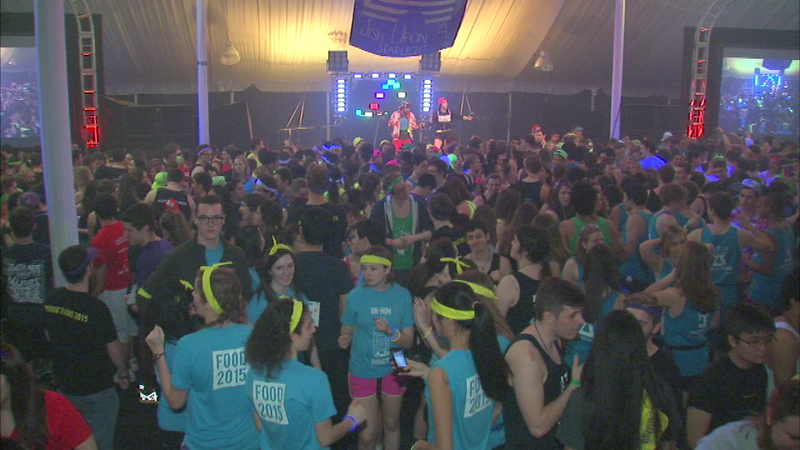 EVANSTON, Ill. (WLS) -- More than 1,000 college students are dancing not one, but two nights away. This year, money raised will go to the Starlight Children's Foundation to help build pediatric treatment rooms and playrooms.